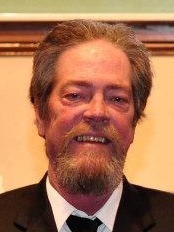 James "Jimmy" Ewing Stack, age 62, of Clarksville, passed away Monday, April 9, 2018, at Spring Meadows Healthcare Center. Jimmy was born July 6, 1955, in Clarksville, TN, to Charlie Stack and the late Helen Davis Stack. He was also preceded in death by his wife, Wanda Boren Stack; and brother, Kenneth Stack. Jimmy was retired from the Clarksville Street Department. He loved NASCAR and the Dallas Cowboys. A Celebration of Life Service will be held Thursday, April 12, at 3:00 PM, at the Chapel of Neal-Tarpley-Parchman Funeral Home, with Bro. Steve Kirby officiating. Burial will follow at Brewer's Chapel Cemetery. Visitation will be Wednesday, April 11, from 4:00 to 7:00 PM, and Thursday, April 12, from 1:00 PM until the hour of service, at the funeral home. In addition to his father, Jimmy is survived by two sons, Davis (Danielle) Stack and Brandon Stack, both of Clarksville; brother, Trey Stack; and two grandchildren, Madison Casey and Kaden Casey. Pallbearers will be Kyle Stack, Wade Stack, Justin Davis, Eddie Loomis, Tuck Ritchie, and Brian Cobb. Honorary pallbearers will be Kaden Casey and Jack Scebra.